Follow sessions - Centre Tomatis de Paris. A psychopedagogical evaluation test is completed based on your current difficulties followed by an interview with a Consultant specialized in the management of your disorder. The Consultant also gives you a listening test. This test is carried out with a device called the Tomatis® Listening Test System (TLTS). The TLTS identifies your listening potential and possible malfunctions. Thanks to specially designed equipment, you listen to a program created for you by your Consultant. You can listen to the program at the center or in the comfort of your own home using the TalksUp® device. As it is about stimulating your ear and your brain, the sessions must be repeated but also spaced apart from so-called “integration” rests so that progress is sustainable. The length and number of sessions will depend on your problem. These are usually 2 hours per day over 3 periods of 13 days. Passive sessions are supplemented by active sessions. These are sessions of playback or repetition during which your voice is instantly altered and retransmitted according to specific parameters of the Tomatis® Effect. You hear your corrected voice live and modulate it accordingly. This exercise is not systematic and is proposed after a passive listening program. At the end of the listening sessions, you make a final assessment. This review helps to measure progress and determine if other sessions are recommended. 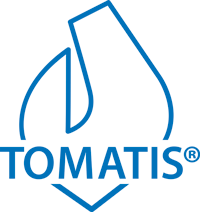 The results obtained with the Tomatis® Method are sustainable. It is therefore often not necessary to extend the sessions beyond the initial period. However, for some issues, it may be necessary to extend a program.